I always wanted to have 4 babies close in age. However, I couldn’t foresee what having 4 little ones running around would be like, and I am learning as I go. It was my goal to have my babies grow up together and share interests, developmental levels and a close bond. I quickly learned that caring for toddler aged babies during pregnancy can get tough. Unlike my first child, I couldn’t sleep uninterrupted at night or take breaks as needed. 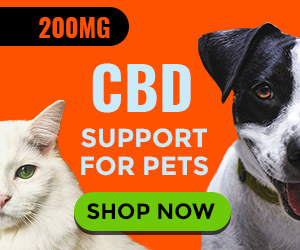 Toddlers are go-go-go! Things like cosleeping, breastfeeding and babywearing all continued while I was pregnant and after birth; often with 2 babies at once. 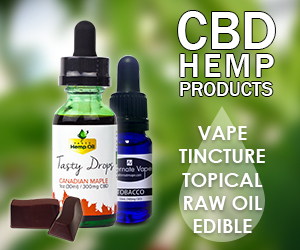 When I had my first VBAC I was on cloud 9. Unlike my first Induction/C-section, I got up to walk around not long after delivery and recovered much faster. 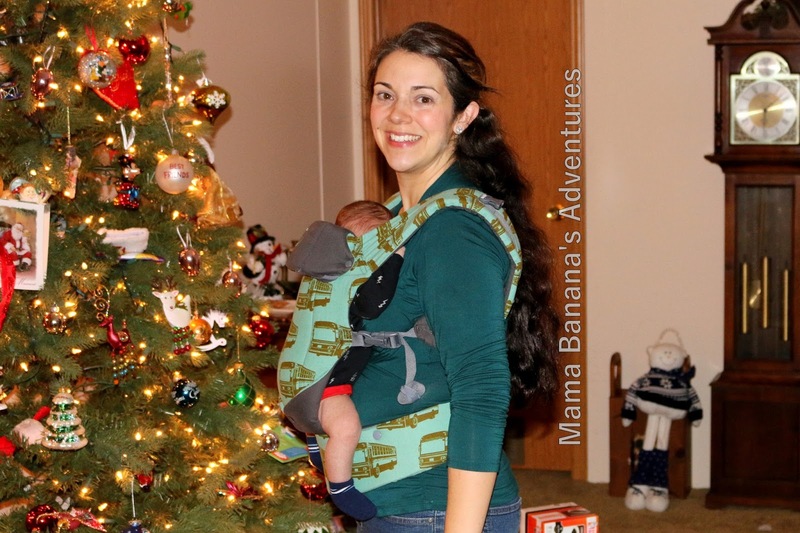 I was able to babywear right away and my love for carriers burst at the seams. When I became expectant with my 3rd baby, my second was still in love with his carrier and being worn. I needed to figure out how I could safely wear him through pregnancy. With an okay from my OB, and a low-risk pregnancy, I went on to wear throughout my last two pregnancies joyfully. Here are some tips I picked up for using a soft structured carruer (SSC) and a woven wrap while pregnant. 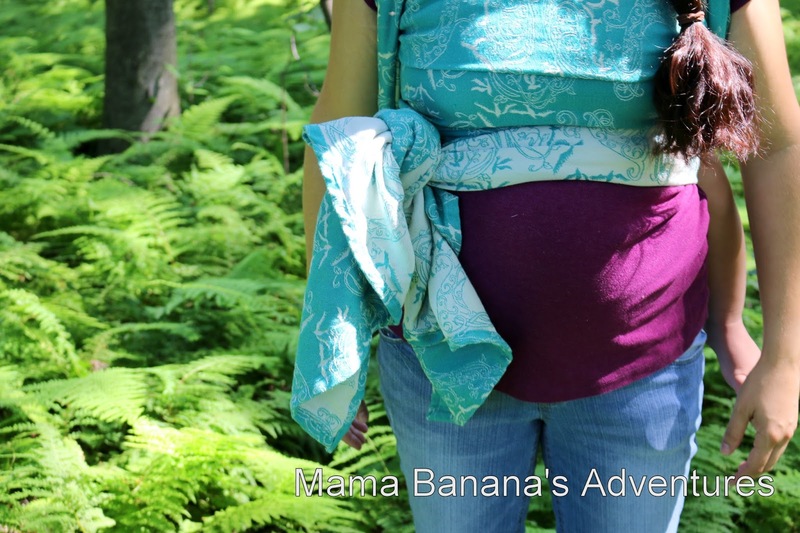 At first, babywearing while pregnant was easy. My belly bulge wasn’t huge for the first few weeks and I could wear the carrier right over my unnoticable bump. However, as my pregnancy progressed by belly got really big. 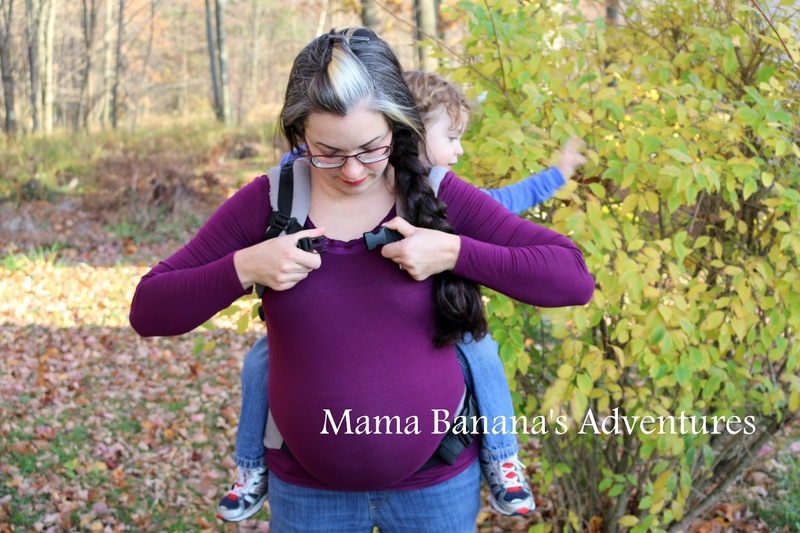 I often wore a support belt or simply held my belly up the last few weeks and appreciated the stretch babywearing in a back carry gave me. As my bump grew I discovered that the way my carrier fit and was comfortable varied. 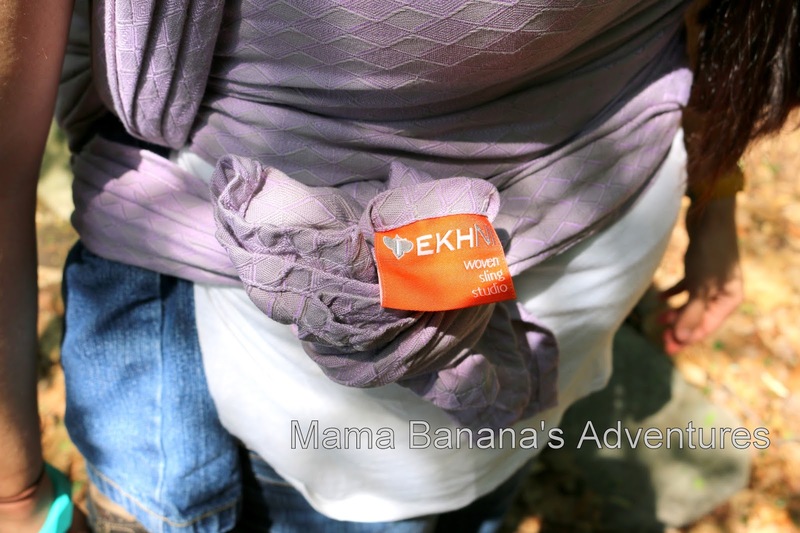 Here is my experience with Babywearing Through Pregnancy. I tried several different carriers and styles and want to share my progress with you! Here’s my bump with woven wraps and soft structured carriers (SSC). 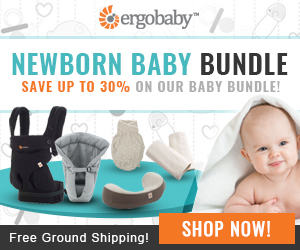 Using a woven wrap and/or SSC throughout pregnancy was benefitical both as a bump-wrap and to carry my older babies. 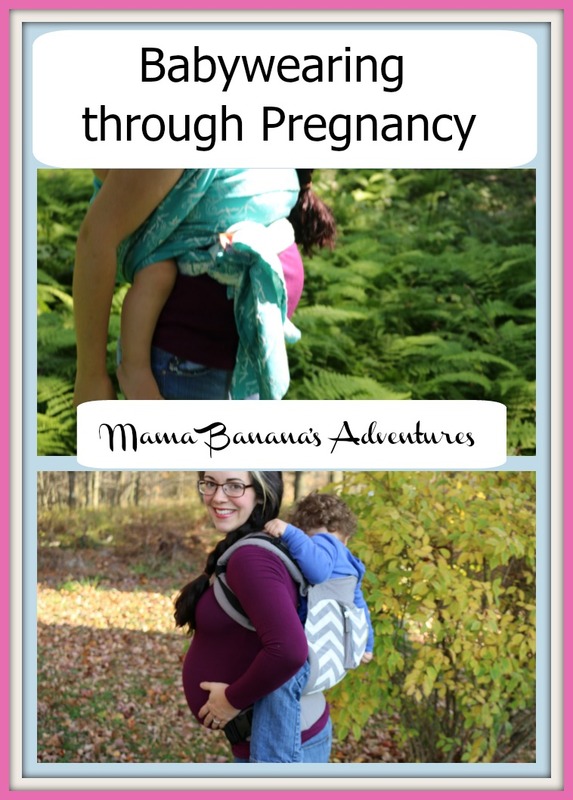 When early on in pregnancy, before my bump well…bumped, I could do a front carry easily and even wore my Lillebaby Toddler carrier support panel over my belly (see below). However, once my bump popped I had to switch to primarily back carries because my toddler was too heavy to wear on my bump itself, and I would have to seat him on top of my bump which meant he was way taller then me and I couldn’t see. Shout out to all the Mamas with short torsos! In a back carry, the woven wrap pass fit comfortably above my bump. Seen below in Tekhni Petradi (purple) our Tekhni Nymphai (blue) and our Lillebaby Essentials (SSC). If you notice, the wrap pass is over, but not pressing down on my bump. While this worked well with woven wraps, this was impossible with our SSC. I found that for a SSC, the waist band fit comfortably both on my hip and under my bump. I found that wearing my toddler on my back created a pull backwards and not down when positioned properly. This left my bump free to breathe and kept my toddler ridiculously happy being close to me. For a carry like this, I like a longer wrap. A long 6 or a 7 works best for me, but I’m sure that shorter wraps would work well for carriers that fall on the upper chest or above bump too. After baby was born, I started babywearing right away! 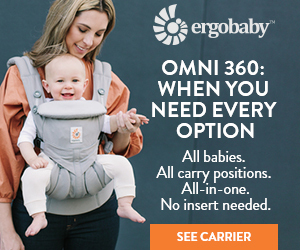 While some carriers need an infant insert, our Beco Gemini fit from birth on. My son was 9+ like his brothers and was in his carrier the first day home. It was near Christmas and we went happily over to our relative’s house with my newborn sleeping and nursing in his carrier. My husband took this very tired photo of me just days after delivery and we used this and a Bekhni that was on loan for much needed babywearing time. 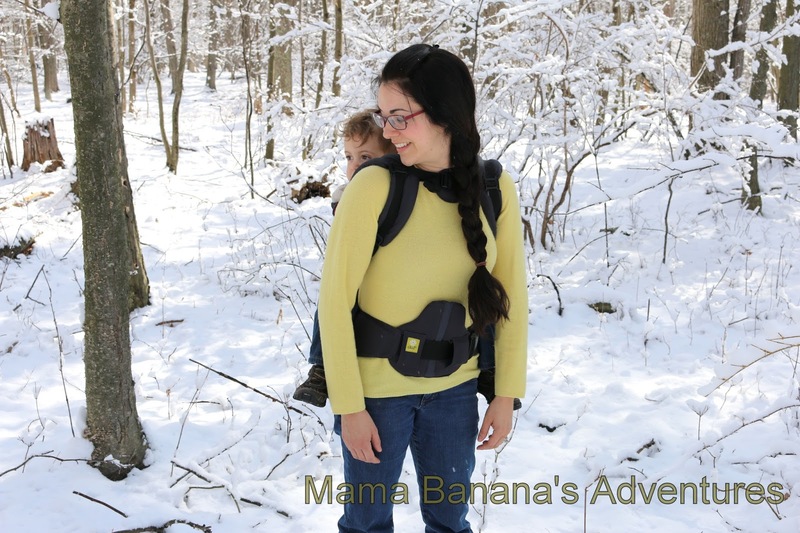 While Beco has new owners, Boba, their larger carrier the Soleil has been discontinued. Unfortunately the seat in this carrier is now too small for my son, but we have moved comfortably into the Lillebaby Essentials you see above!